Fire broke out at vacant mill in Manchester on Sunday night and fire investigators said it appears to have been set. Investigators say the fire that broke out at a vacant mill in Manchester on Sunday night appears to have been intentionally set. 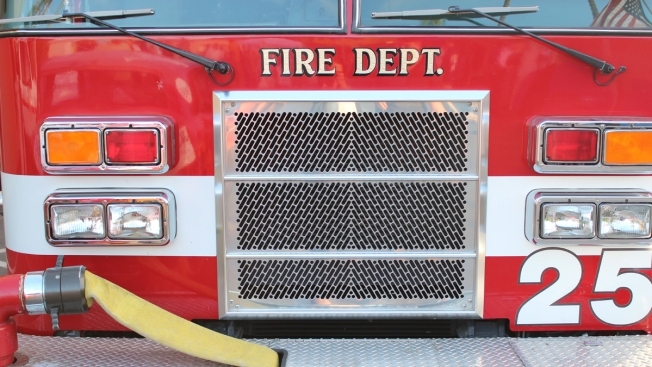 Firefighters responded to the building at 260 Tolland Turnpike around 6:15 p.m. when people driving by reported seeing smoke from the industrial complex of mill buildings, according to emergency officials in Manchester. The smoke was heavy, the building had partially collapsed and it appears wood pallets, brush and wooden building materials had been deliberately gathered and set on fire, officials said. Buildings in the complex had previously been deemed unsafe, according to local emergency officials. Crews checked the building to ensure that no one inside or near the building. Firefighters knocked down the place in less than an hour and said efforts will be made to keep trespassers from the property.